This book cover I shot last year with Disney Hyperion is out now. What an amazing journey this was, 16 cities and over 400 women photographed! If you happen to be around the neighborhood pop on by and get inspired by these amazing women and their lives. Great Food and Great Light at Take Root in Brooklyn. Madeline Weinrib Showroom for the Observer.com style section. Had fun spending the morning with the folks at the Madeline Weinrib Showroom/ Studio! Recently shot a portrait of Kreis Beall of Blackberry Farms! Vicky and Annie image on today's Feature Shoot! 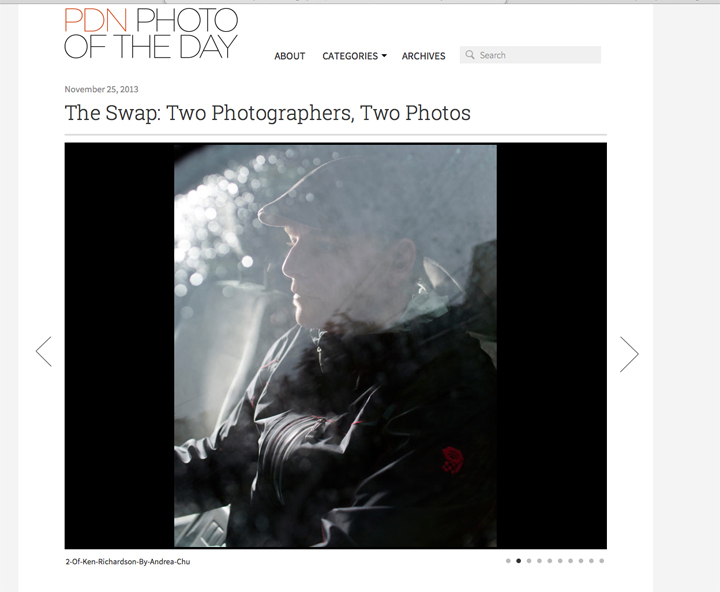 The Swap curated by Stuart Pilkington is on PDN Photo of the Day. It was fun to hang with my good photo friend Ken Richardson to make this happen! Happy to be a part of this project called The Swap by Stuart Pilkington. Ate too much on this trip for Town and Country! Had a blast roaming around Blackberry Farms in TN for Town and Country. Check out Dwell Magazine's October Issue for a feature story I did on this amazing house in CT by architects Gray and Organschi.